I feed on as many books of London lore as I can find, everything from Neverwhere to London Orbital, King Rat to A Journey Through Ruins, Savage Messiah, The Great God Pan and The London Adventure. They map a place I sense is there, just out of sight. There’s a natural pull to the useless, to the broken down, the arcane. In London before the Olympics there’s a lot of that. I look at strange graffiti on the walls of friends’ squats, smoke on the roofs of houseboats, see the city as strata, layers of packed story, myth and heartache. There are stories of giant beasts in the marshes, skinned and headless bears, reptiles pulling down geese in the river. I fill my head with shibboleths, knowledge at odds with the pace, the dirt, the press of crowds. I love all that too, the life of the city, the sheer human chaos of it: but this feeling, this pull towards something older, or perhaps ageless, is real. I walk amongst Victorian ruins on the Middlesex Filter Beds, break onto a reservoir with friends, marvel at the lost rivers buried by time and development. On Horsenden Hill, where they say an Anglo-Saxon king fell long ago, I disturb cottaging men and watch a crow pluck the eyes from a mouse. I imagine a golem on the streets of Stamford Hill, the decaying bodies of green men out on Walthamstow Marsh, ifrits brightening the skies over Edgware Road. One thing solidifies all this. A real physical thing that tells me it’s not just me, this is something legitimate, something I can touch. I get this sense of history, folklore, of stories trapped in soil, encased in the mortar and concrete. Of residual paganism seeping through brick. Some deeper or parallel reality right there to see, if you were willing. 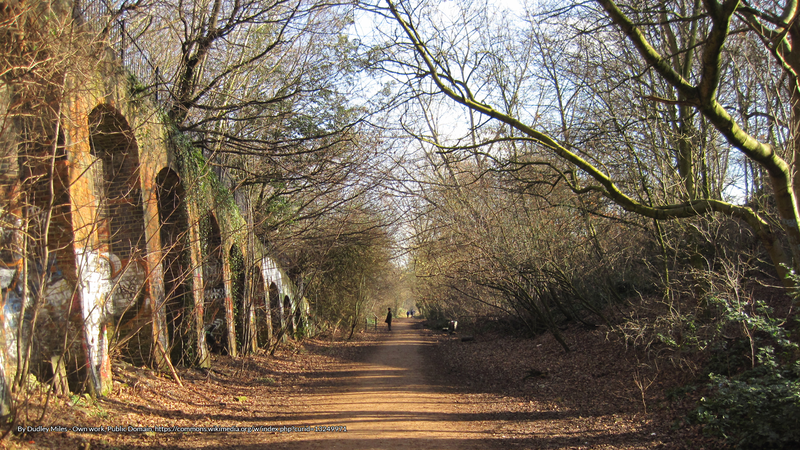 It lives on Parkland Walk. I always picture it in the rain, greasy city drizzle. Bracken threaded with spiny thorn branches, diurnal foxes, lycra clad cyclists taking a route both scenic and convenient from Finsbury Park to Highgate. Following the old train line, out of use for many years now, a platform mossed and overgrown. It’s popular with dog walkers, couples arm in arm on a Sunday stroll. 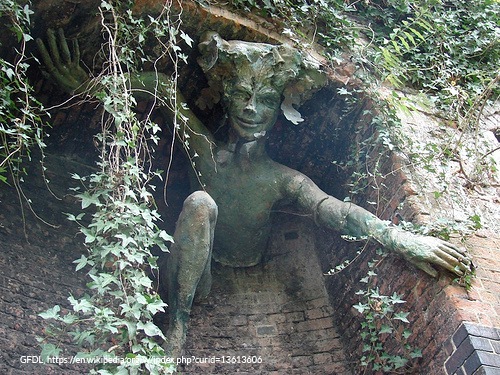 In the railway arches near Crouch End, that’s where you can see it, the spriggan. It slides out of the brickwork as if caught between dimensions, perhaps seven feet tall if it could stand. It’s a marvel, amongst the overgrowth and the lurid graffiti. I often stop and stare at it. It reminds me of those old Machen stories, relics of older mythologies making themselves felt in the city. It just seems right. The thing is, it’s not even part of London mythology. It’s a Cornish thing, a monstrously ugly protector of treasure, a kind of heavy for the fair folk. It took me years to find who made it, but I was never sure exactly why it was there. I’m sure I could find out if I tried, but the mystery of the thing and the shocked joy upon discovering it is a feeling I want to preserve as long as I can. It’s a place I’ll take friends, partners, family members to. Away from the high streets and the chugging traffic, London still conceals marvels. The spriggan on Parkland Walk is the thing that makes me realise my nascent interest in folklore, landscape, the stories of both city and country, is a valid thing. It kicks off an obsession, a desire to track and know as many stories and myths as I can, here in the city that is my home, then further afield in the counties of Kent and Sussex, then to the whole of the UK and beyond. The spriggan leads me to the stories of the green children at Woolpit, Suffolk, Hollowshore Harry on the bleak marshes between Whitstable and Faversham, out to the weirder margins of London where people are few and the river wider than you can imagine. The spriggan leads me into a world of music that was right on my doorstep but I’d never been aware of or perhaps ignored; life and culture, for so long, seemed to happen in other places. It helps me know that my own country, my own patch, can be a place of wonder. I realise the cultural narratives I was fed via school, university, TV, the bigger culture, was only a fraction of the picture, and that there’s so much to explore. It will last a lifetime. The appeal folklore has for me is that it maps an entire world of lived experience, rendered through the monstrous, fantastic and bizarre. It’s been built up over centuries, over millennia. There’s power in the stories and the songs, the sense that human beings only understand our world through narrative. The fact the stories still resonate, are endlessly translatable into modern experience, mutable and fluid, says something profound. Folklore is a part of us, coded in the DNA, as natural as the soil beneath our feet. It’s that story I hear for the very first time but greet like an old friend. It’s the thing that lets me know the world is a big and exciting place, still full of possibility. 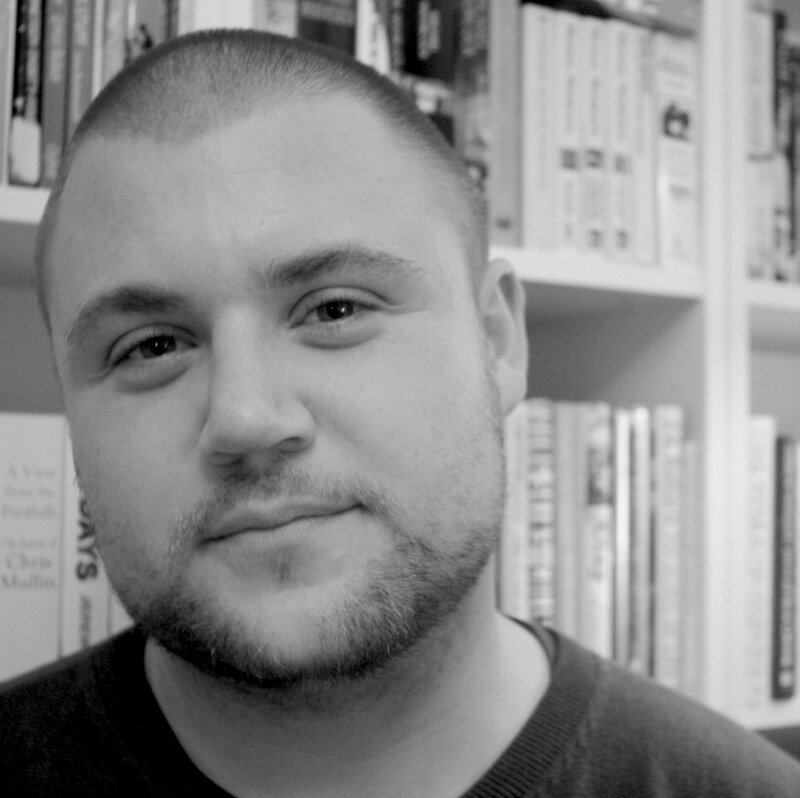 Gary Budden is the co-director of Influx Press and editorial assistant at Unsung Stories. His work has appeared in Structo, Elsewhere, Unthology, The Lonely Crowd, Gorse, Galley Beggar Press and many more. He writes regularly for Unofficial Britain and blogs about landscape punk here.